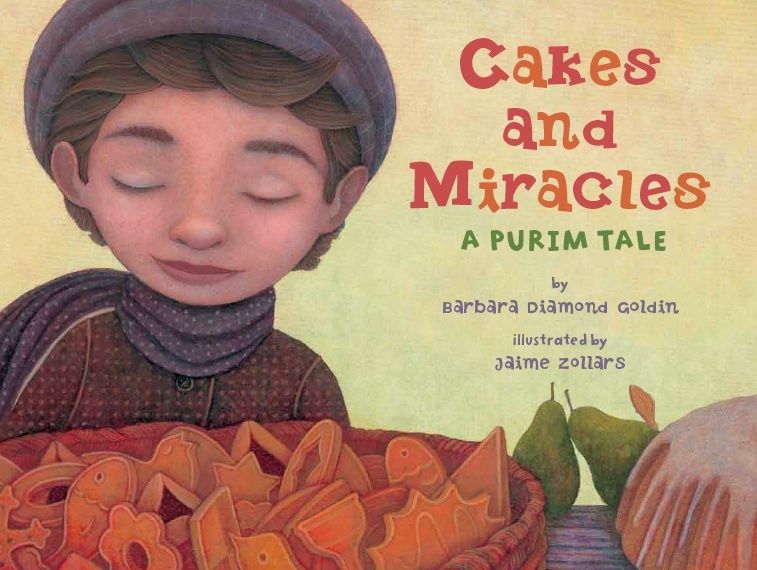 Jaime Zollars is the illustrator for the 2010 reissue of Cakes and Miracles: A Purim Tale by Barbara Diamond Goldin. This title was named a 2011 Sydney Taylor Honor Book by the Association of Jewish Libraries. In celebration of this honor, AJL is sponsoring a Blog Tour with all gold and silver medalists. Today I am so pleased to participate in the blog tour and have Jaime Zollars here on The Book of Life! Welcome, Jaime! Cakes and Miracles was originally published in 1991 with illustrations by Erika Weihs. Did you refer to the original illustrations in any way as you worked on this book, or did you start completely fresh? How was re-illustrating an old book different from illustrating a new book? I started completely fresh on this title. My first instinct was to look at the original book first, but then I decided that it would only limit my thinking if I peeked too early in the process. Once I had my sketches in, I did order the book to see how it was first illustrated. For me, re-illustarting an old book was exactly the same as illustrating a new one. I treated it as if it had never been published. The text for this edition was also edited to make it a shorter story. This change allowed for more full spreads and room for art, which was great for me! The main character of the book, Hershel, is blind, yet you've shown him with very compelling eyes, and in most scenes his eyes are open if a little unfocused. Can you talk about how you decided what his eyes should look like and how you achieved that effect? Hershel's blindness was one of the most immediate challenges for this book. I thought a long while about how I would portray his eyes. One of my major concerns is how much we all relate to characters in picture books through their eyes. If Hershel's eyes were rendered lifeless, it would have been much harder for readers to connect with him. I went on to research images of blind people to discover that there is a wide range of physical evidence of blindness in people. Besides Hershel's gaze being unfocused at times and him closing his eyes often to "see", I decided to keep his eyes relatively normal in appearance. My decision to treat them this way came from considering what this story is actually about. Yes, Cakes and Miracles is about a boy who overcomes the perceived limitations of his blindness and discovers that he can see in a unique way. But I see this tale as not just about one little blind boy. It is about the spirit's triumph over a physical reality. Too much emphasis on physical disfigurement could have distracted from a more universal message. I'm hoping this title can get even the youngest readers to connect to Hershel and understand how this story is also about them and overcoming their own obstacles in life. On a technical level, I averted Hershel's gaze and then brushed a light coating of transparent white ink over his eyes in many cases so they appear a bit unfocused. Can you give us any insider knowledge about Cakes and Miracles or talk a little about the process of writing the book? Although this book went very smoothly and I don't have many insider anecdotes to share, the process was an adventure for me. It involved some research on my part. I am not Jewish, nor have I ever worked on a Jewish book before. 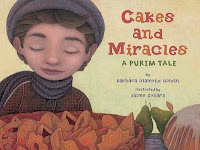 My art must harken something relevant though, as I'd been offered three other Jewish books before Cakes and Miracles came my way, and I'm working on another Jewish title now! I have enjoyed the process of learning something about Jewish history and culture. I aimed to make sure that my imagery was as accurate as possible without losing the story's spirit in too much technical reference. This experience was richer for me than illustrating previous books because of all the preliminary reading and work I got to do first to better understand the tale. I've heard that your work is influenced by Flemish painters. Can you tell us more about that? I've always loved the Flemish painters of the 15th-16th century. Hieronymus Bosch and Pieter Breughel are among my influences. Brueghel seems like an appropriate reference for this story. He was best known for painting pictures of real working people, the peasant class, while other painters were most absorbed with painting royal life. I love these painters because of their attention to detail, sophisticated palettes, and the ability to capture the atmosphere of a time and a place very affectively. I am also a fan of proverbs and folk tales, so Brueghel's Proverbs piece (link here) is one of his most memorable images for me. You are a designer as well as an illustrator. Can you tell us a little about the various art forms you work with? While I'd call myself and illustrator first, there are many things I do as a freelance artist. I create paintings for galleries, and commercial paintings for books, ad campaigns, and magazines. I have designed characters and branding for various art and craft companies, and I enjoy printmaking as well. As far as technique is concerned, the variety in jobs that come up allows me to use acrylic paint, collage, Photoshop, and screen printing to achieve my desired affect. On top of the my art assignments, I also get to teach art to the talented students at MICA here in Baltimore. Teaching actually exposes me to many new ideas and techniques that I would not have explored otherwise, and has led to my own experiments and a willingness to continue learning new things myself! Have you ever made hamantaschen? What's your favorite hamantaschen filling? 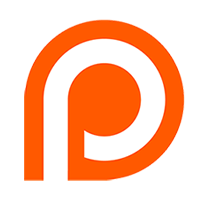 I have not tried to make hamantaschen, (I'm more of a cook than a baker) but that is sounding like a great idea right now! The coffee shop I frequent here in Baltimore keeps theirs well-stocked, and I can thank this book for trying my first (and getting somewhat addicted). Raspberry has proven to be a consistent favorite. 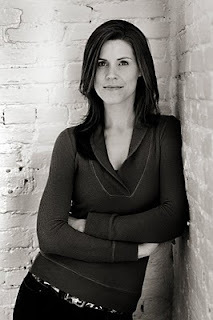 I still have a number of interviews from Book Expo America 2010 in the queue, but I decided to post the interview with Debbie Levy today because it is her birthday! Thanks to Facebook for letting me know. Happy Birthday, Debbie! I met Debbie Levy and her mother Jutta at Book Expo America 2010, where we sat down in the cafe for an interview. Debbie is the author and Jutta is the subject of The Year of Goodbyes: A True Story of Friendship, Family and Farewells, based on Jutta's poesiealbum from the 1940's. A poesiealbum is a poetry album or autograph album, in which friends write each other little notes and poems. Debbie was touched by the writings of her mother as a young girl, and her mother's friends. To encourage readers to experience the poesiealbum tradition, she has created a participatory blog where people can submit their own entries to an online poesiealbum at theyearofgoodbyes.blogspot.com. The Year of Goodbyes was named a 2011 Notable Book of Jewish Content in the Older Readers Category by the Sydney Taylor Book Award committee of the Association of Jewish Libraries.